An outdoor living room? It’s more common than you think. Make an outdoor living room. When one thinks of outdoor furniture, they automatically think of patio furniture. Which is great as it is durable through the seasons. Lately, though, many people are putting regular living room furniture outside. When some buy new living room furniture, they’re left with older but still usable furniture. Knowing the furniture is going to be tossed out or given away, many Americans keep them by using it to furnish their outside especially if they have a covered deck. Or they put it outside and make sure to have heavy duty covers to keep the furniture as long as possible. It creates a whole new vibe for the backyard or porch. Add an HDTV and watch baseball in the Summer breeze. And, again, if the furniture is used and was on its way to the dump then why not get some more use out of it. If you have a covered deck or porch, the furniture lasts much longer and the comfort is great. Your family and guests will love it when waiting for the barbecue to get ready. And will add an unusual but very comfortable touch to the outdoors. Some specifically but new living room furniture for the outdoors and some find used furniture for the outside. 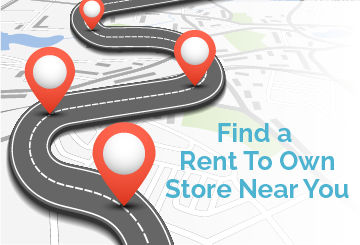 If so, rent to own stores are a great option as they are constantly needing to get rid of used furniture. The trick is finding the right store with the furniture right for your outdoor circumstances.